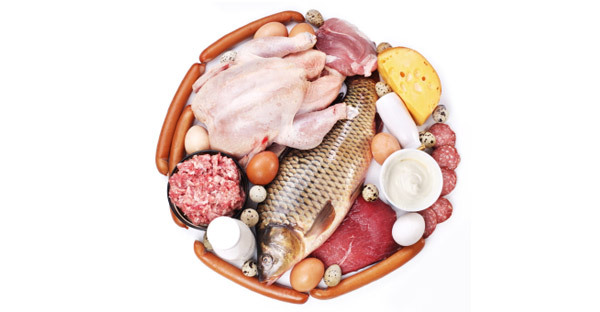 Many people are rightfully confused about the various ways that protein recommendations are established, and fail to know the main factors that have caused the confusion. Understanding the protein recommendations requires an understanding of the history of protein research and the serious bias that crept into the science over the years. From the beginning, there was a very strong bias that has emphasized the health importance of protein and this almost always meant animal-based protein. This bias arose even though the research results clearly showed in many cases that it SHOULD NOT be emphasized. Nonetheless nutrition researchers still emphasized higher consumption of protein because it was the “sign of civilization itself” as was said in the early 1900s and, further, that those who did not consume these generous amounts of protein (i.e., meat) were “of an effeminate nature”! Researchers continually pushed the protein idea and continually found ways to develop methodologies and algorithms to ‘show’ that higher levels of protein were advisable. The whole concept of protein “quality” was devised so that it could be said that animal protein was high quality and plant proteins were low quality when, in fact, the concept of quality only indicated a biological efficiency of utilization per unit protein consumed. Naturally, animal-based proteins more nearly mimic our needs because they are composed of the right ratio of amino acids, thus are used more efficiently. But these studies were mostly based on animal production research that served the farm community (also served for my PhD thesis!) far more than it served the interests of human health. More efficiently used “high quality” proteins also efficiently grow cancer cells as well! However, it’s important not to miss the really bizarre point that the current US dietary guidelines advocate an upper limit of 35% of calories as protein that is supposedly consistent with minimizing chronic diseases. The only way that one can go this high is to be a virtual carnivore. The correct recommended intake is around 8-10% protein (not 35%!) which can be easily supplied by a good whole foods plant based diet. Even potatoes will do the job alone. So, it’s back to the question of how and why and who is recommending these ridiculous numbers. The first time that these new high limits appeared was when a top consultant to the dairy industry, was chairing the Food and Nutrition Board that was responsible for the report. That report was funded by the dairy industry-based Dannon Institute, among other corporate benefactors who, accidentally I suppose, rather liked these high protein recommendations. This is where Dr. Caldwell Esselstyn’s research that was focused on low fat intake and my research that was initially focused on lower protein intake converged, pointing to the elimination of animal based food consumption that was so highly correlated in international studies with Western diseases. Posted on December 4, 2014 by Health and Food MattersPosted in Articles, HealthTagged Protein.